Recently, Charles Krauthammer alluded that he had no doubt some of the 30k emails Hillary deleted from her private email server very likely had references to the Clinton Foundation, which would be illegal and a conflict of interest. 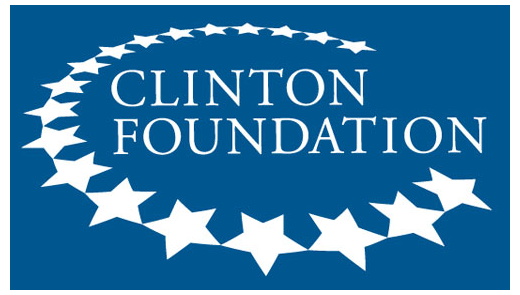 The Clinton Foundation is "organized crime" at its finest, and we are financing it. Here is a good, concise summary of how the Clinton Foundation works as a tax free international money laundering scheme. It may eventually prove to be the largest political criminal enterprise in U.S. history. 1. You create a separate foreign "charity." In this case one in Canada. 2. Foreign oligarchs and governments, then donate to this Canadian charity. In this case, over 1,000 did -- contributing mega millions. I'm sure they did this out of the goodness of their hearts, and expected nothing in return. (Imagine Putin's buddies waking up one morning and just deciding to send untold millions to a Canadian charity). 5. The Clinton Foundation then "spends" some of this money for legitimate good works programs. Unfortunately, experts believe this is on the order of 10%. Much of the balance goes to enrich the Clinton's, pay salaries to untold numbers of hangers on, and fund lavish travel, etc. Again, virtually all tax free, which means you and I are subsidizing it. 6. The Clinton Foundation, with access to the world's best accountants, somehow fails to report much of this on their tax filings. They discover these "clerical errors" and begin the process of re-filing 5 years of tax returns. 7. Net result -- foreign money, much of it from other countries, goes into the Clinton's pockets tax free and untraceable back to the original donor. This is the textbook definition of money laundering. Oh, by the way, the Canadian "charity" includes as a principal one Frank Giustra. Google him. He is the guy who was central to the formation of Uranium One, the Canadian company that somehow acquired massive U.S. uranium interests and then sold them to an organization controlled by Russia. This transaction required U.S. State Department approval, and guess who was Secretary of State when the approval was granted. As an aside, imagine how former Virginia Governor Bob McDonnell feels. That poor schlep is in jail because he and his wife took $165,000 in gifts and loans for doing minor favors for a guy promoting a vitamin company. Not legal but not exactly putting U.S. security t risk. Why did these foreign interests funnel money through a Canadian charity? Why not donate directly to the Clinton Foundation? Better yet, why not donate money directly to the people, organizations and countries in need? This is the essence of money laundering and influence peddling. Now you know why Hillary's destruction of 30,000 e-mails was a risk she was willing to take. Bill and Hillary are devious, unprincipled, dishonest and criminal, and they are Slick! They could be back in the White House in January 2017. Remember, most people are not well informed. You must inform and educate them.